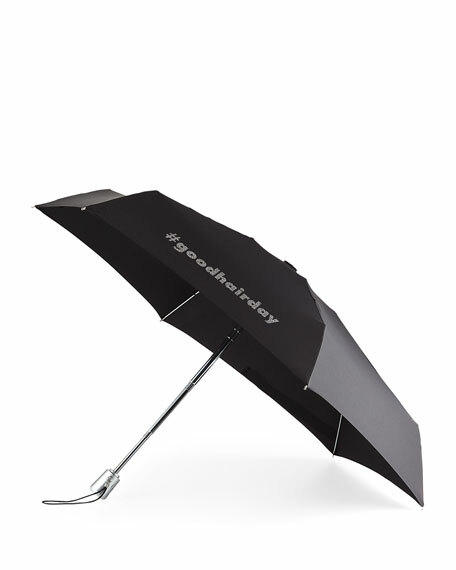 ShedRain "#GoodHairDay" mini compact umbrella, handmade from precision components. Printed canopy with 8-rib construction. Polyester twill with Teflon coating. TRILOBE® aircraft aluminum shaft prevents twisting. ShedRain started in 1947 in the misty city of Portland, Oregon, and prides itself on the quality of product to this day. Backed up with a lifetime warranty, each item is expertly engineered, expertly styled, and supremely functional.